This is one of the most common mistakes smokers make when switching to vaping. 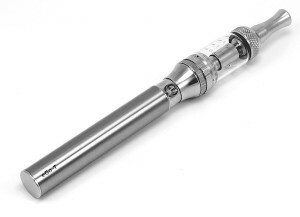 The majority of people automatically assume that $100 for a decent vaping kit is a lot, as they are accustomed to spending only $5-$10 per day to feed their tobacco addictions. This is a completely wrong way of thinking, and these aspiring vapers usually end up getting the cheapest cig-a-like or an eGo kit with an outdated low-end clearomizer which, of course, doesn’t satisfy their expectations. While vaping is 95% safer than smoking for your health, as well as for people around you, you might want to be careful about where you vape. Just like in the case of non-smokers, let’s also respect non-vapers by not using our devices in close proximity around them. While in some places it is still pending, in many countries, legislation limiting where people can vape has already been passed, so make sure to always comply with your local laws and regulations regarding e-cigarette use. If you’re uncertain about the laws, just follow the basic rule of thumb and don’t vape in a place where you wouldn’t feel comfortable smoking a regular tobacco cigarette. 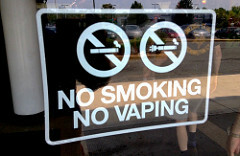 And, of course, this is not an issue whatsoever if you vape in your own property. And what’s your smoking-to-vaping story? Let us know in the comments below!